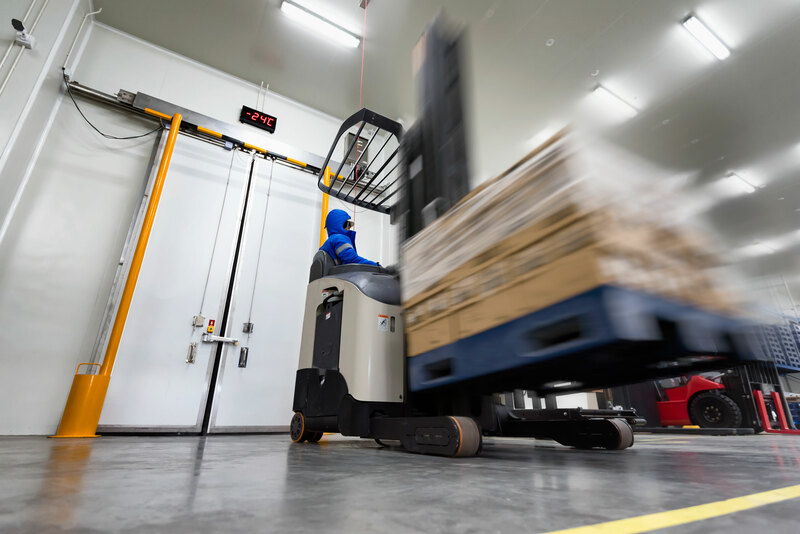 A key aspect of any supply chain involves having proper storage or warehouse space to hold goods before being transported, and when it comes to the food industry both chilled and frozen storage are paramount. In this post we’ll touch on 3 things to look for when selecting a cold storage facility for food. First and foremost, since we’re talking about food, safety must be a number one priority. How are temperatures controlled? What are the food handling procedures? These are the kinds of questions you must ask when selecting a cold storage provider. Secondly, since food storage ties directly into transportation, look for a cold storage facility that also offers distribution which not only streamlines the process but can typically provide excellent cost savings. In the end, it’s more effective and efficient. And last but not least, do your due diligence to ensure providers can live up to your standards. This includes getting a feel for other food companies they work with as well as their quality of customer service.